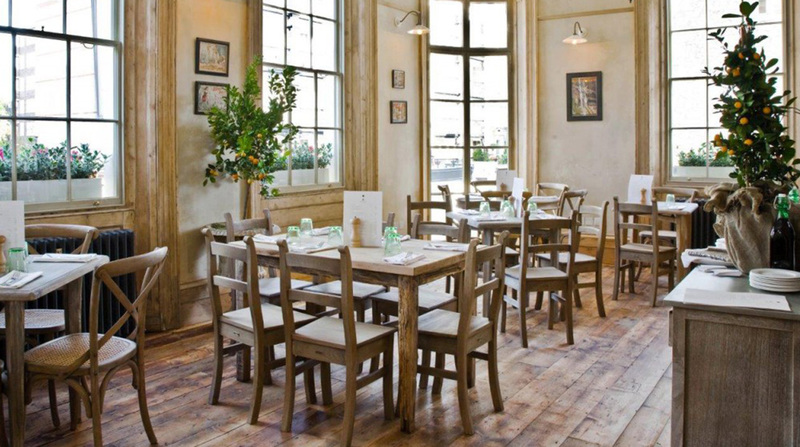 The Orange serves a rustic European cuisine including delicious wood-fired oven pizzas and guest ales. Open for breakfast, lunch, dinner and an all day. A 5-minute walk from Sloane Square tube station, this gastropub with rooms is 7 minutes’ walk from the shops, bars and restaurants on the trendy King’s Road. The 4 country-chic rooms come with modern en suite bathrooms with designer toiletries, flat-screen TVs, iPod docks, and free Wi-Fi. Some feature wood-beamed ceilings. The bar has rustic but stylish decor. There’s also an airy upstairs restaurant with views over Orange Square. It serves Modern European cuisine and breakfast is available.